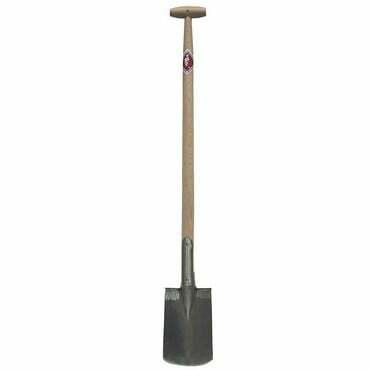 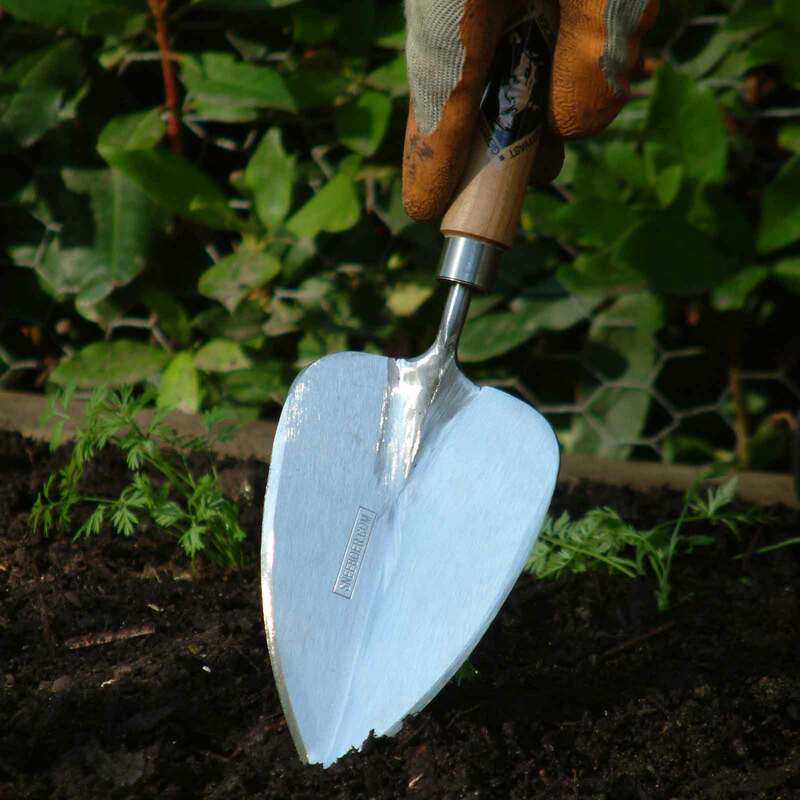 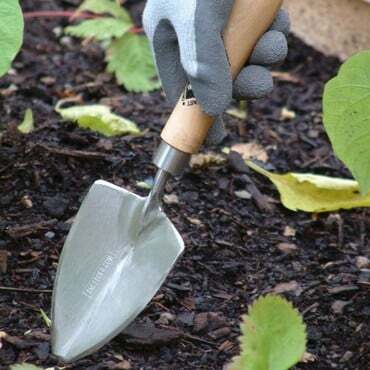 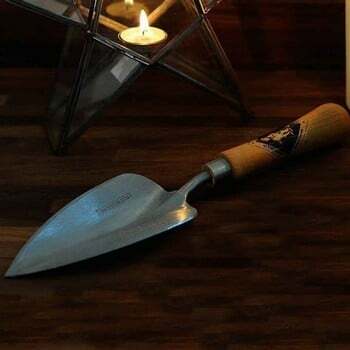 The Sneeboer Short Fat Trowel with a 15cm blade and a cherrywood handle is our most popular trowel and is perfect for planting, digging, potting - in fact almost all garden tasks. This perfectly weighted and balanced garden trowel features a hand forged stainless steel blade and a strong cherrywood handle that will last for years. 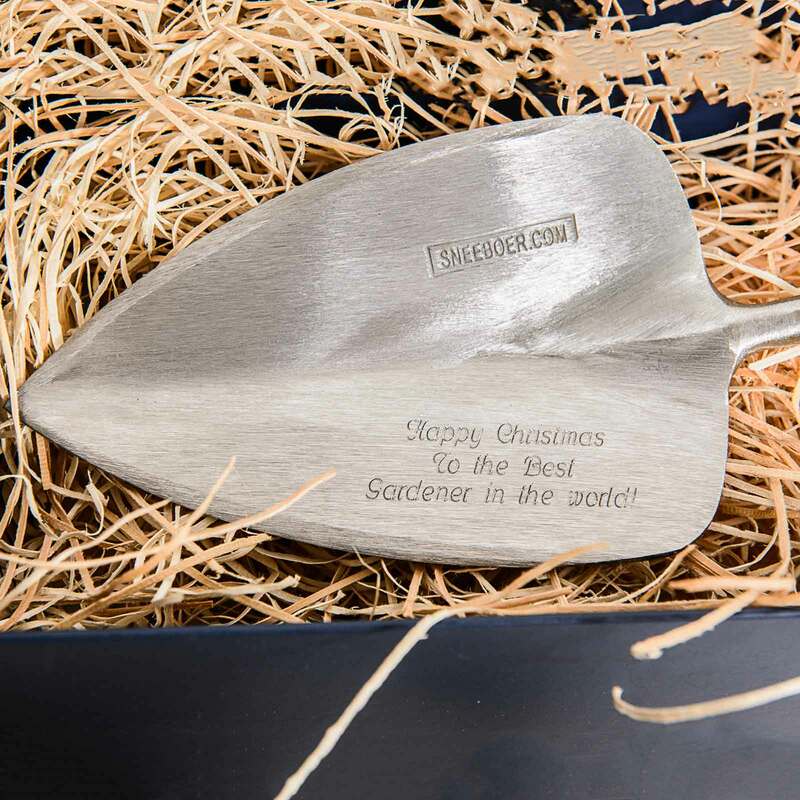 The Sneeboer short fat trowel also makes an excellent gift idea, not least as you can choose to have a personalised message engraved on the trowel blade. 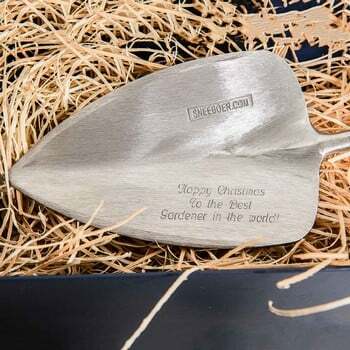 We've given you 75 characters to create your own personal and unique message, making the Sneeboer short fat trowel a gift to cherish for years - and don't forget to keep your Sneeboer short fat trowel - and all Sneeboer tools for that matter - in tip-top condition with the Sneeboer tool maintenance kit. This trowel is amazing, particularly if you are gardening in the Chilterns with its copious quantities of 'Buckinghamshire Diamonds' or flints as they are more commonly known. The sharp point makes it easy to push into the soil. You don't get a jarring sensation up your arm when you hit a flint, as you do with wide tipped spades or trowels. Granted they are expensive but for a busy gardener it is worth the money. I have had 3 of these fantastic trowels , two for presents and they are simply a pleasure to use. 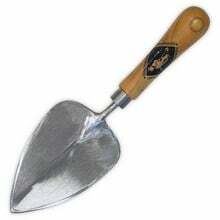 I appreciate they are more expensive than the average hand trowel but they are simply the best on the market. I cannot recommend these highly enough. This durable product will last a lifetime on any sized plot or garden. 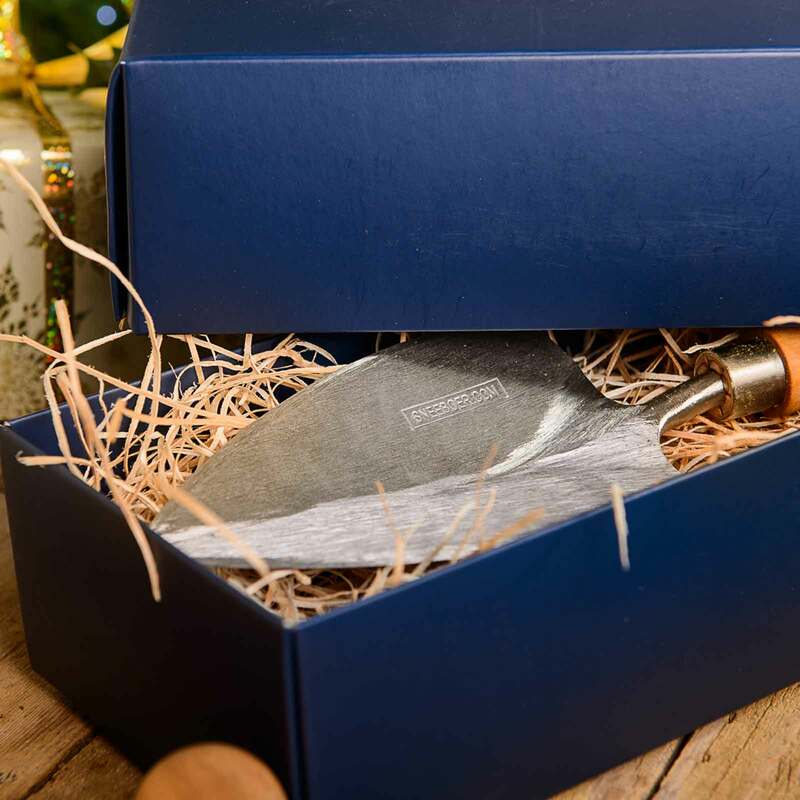 The stainless steel blade is 15cm long with a cherrywood handle. 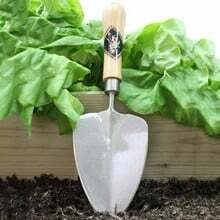 It's perfect for planting, digging, potting on and more. 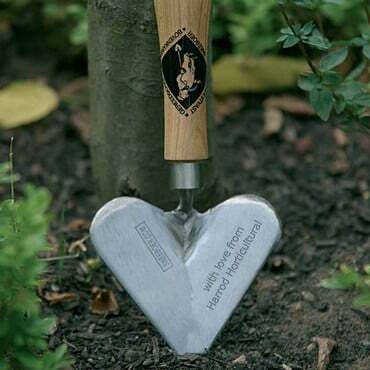 A personal message of up to 75 characters can be engraved on the metal. This strong and hard-wearing trowel by Sneeboer is just the thing to use for transplanting your plants. 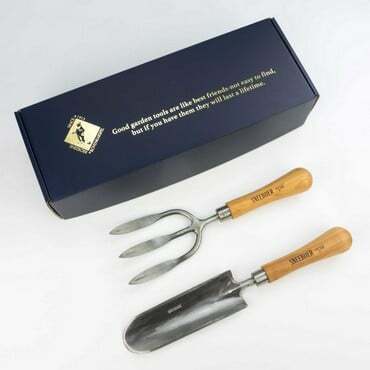 The 15cm stainless steel blade and smooth cherry wood handle make this an attractive tool as well as a useful one.